The Miramar has created an incredible urban oasis right on Avenida Balboa and steps from the gorgeous Cinta Costera park. 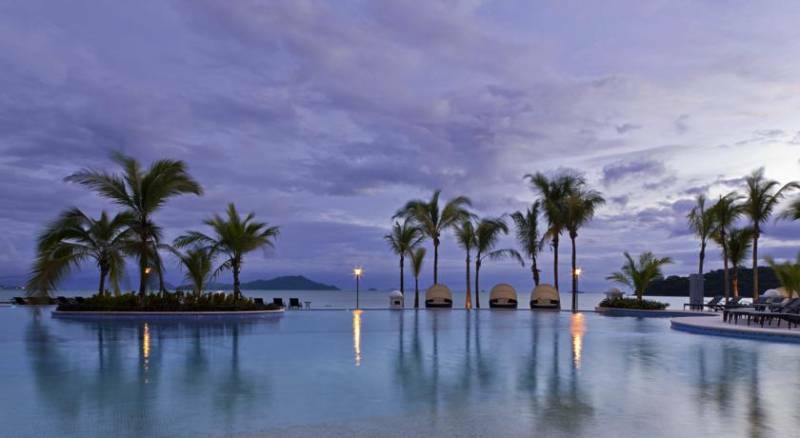 One of the biggest perks is the sheer size of the pool. 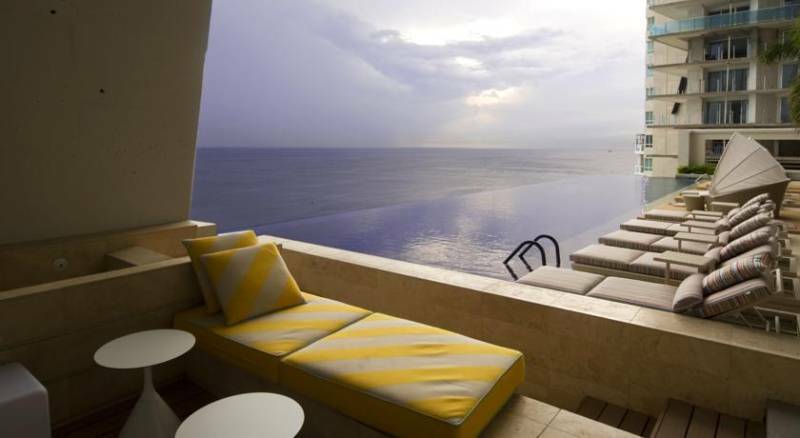 In a city with limited space, it’s difficult to find a pool this large. 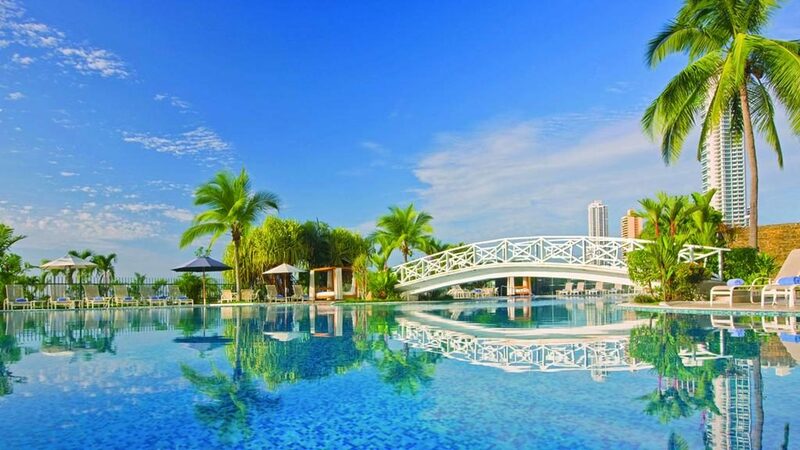 JW Marriott has one of the most beautiful and luxurious swimming area in Panama City. 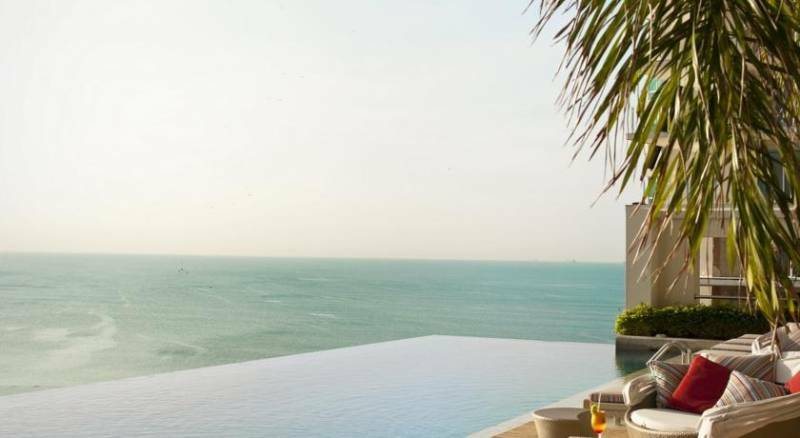 There’s plenty of seating, an infinity pool with unobstructed views of the ocean (you really forget you’re in the middle of a city), and great cocktails & service. 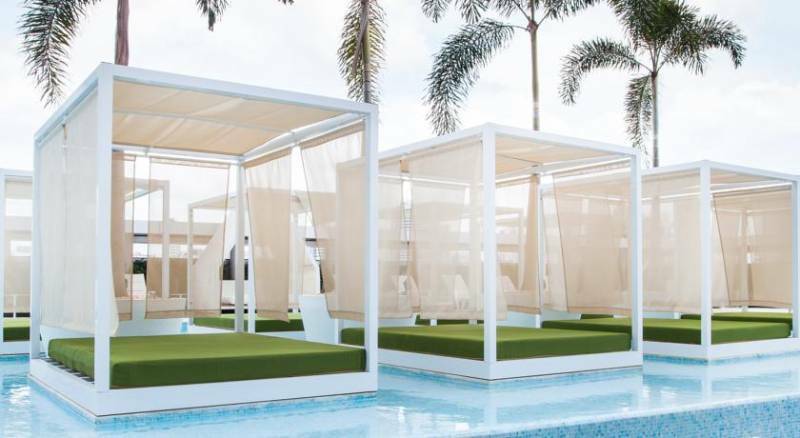 However, if your goal is to get tan during your trip you might be a little let down because the sun only hits the pool in the morning hours and then gets blocked by the surrounding buildings. 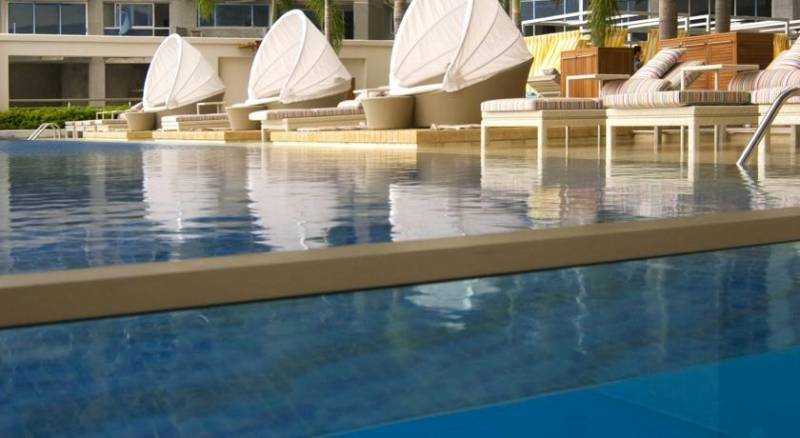 Overall, if you’re looking for an urban oasis to unwind and relax, the swimming pool at JW Marriott will impress you. 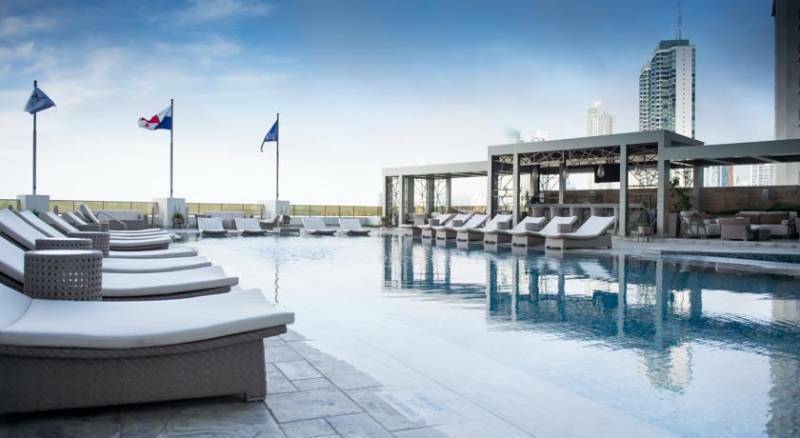 The Sortis is one of the newest hotels to open in Panama City and the pool area they have created is simply beautiful. 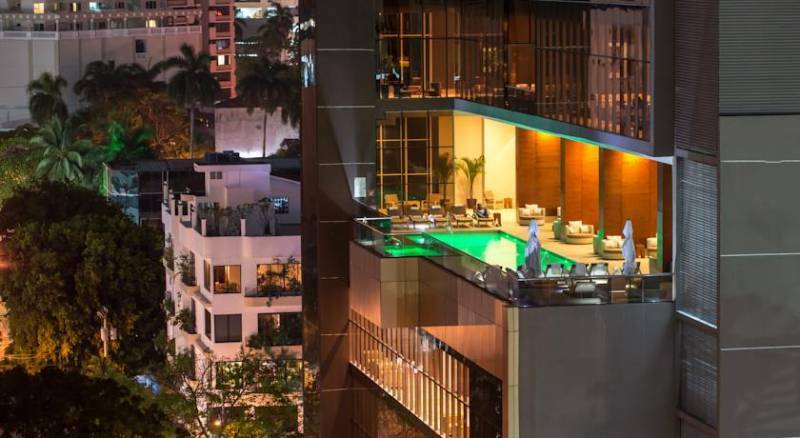 It’s right in the middle of Panama City with 360 degree views of the city skyline. The location is also superb! 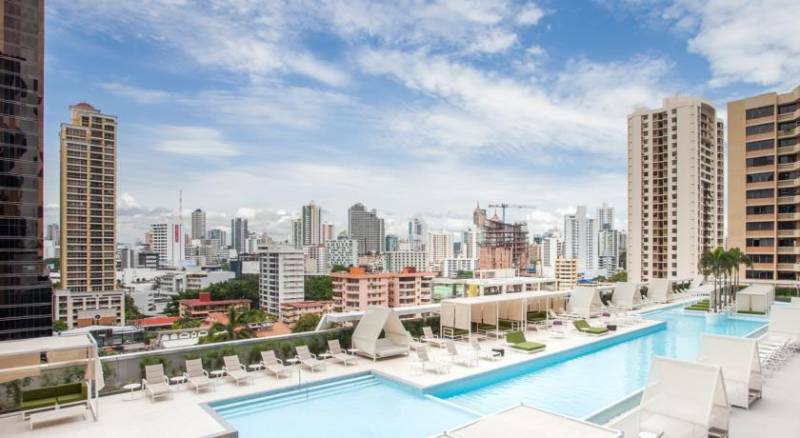 You are just a few blocks away from the new luxury SOHO mall, calle 50, the Via Argentina metro stop, and several other key spots in Panama City. 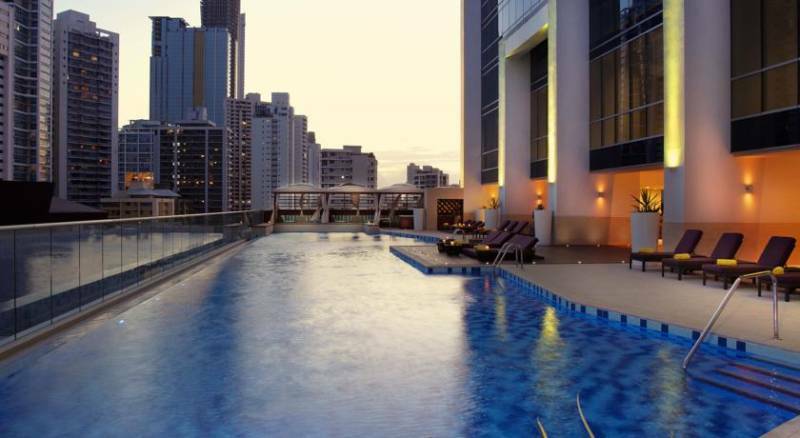 Live like a rockstar in one of Hard Rock Hotel’s Panama City suites. They have a fantastic pool area complete with HOT TUBS (these are really hard to find in Panama City and I hate cold water). 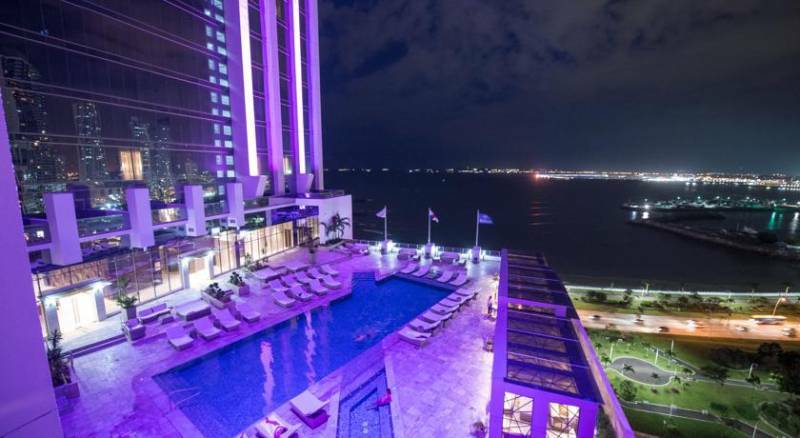 The hotel also features a nightclub, rooftop bar, great restaurants, and it is very centrally located to all the action in Panama City. 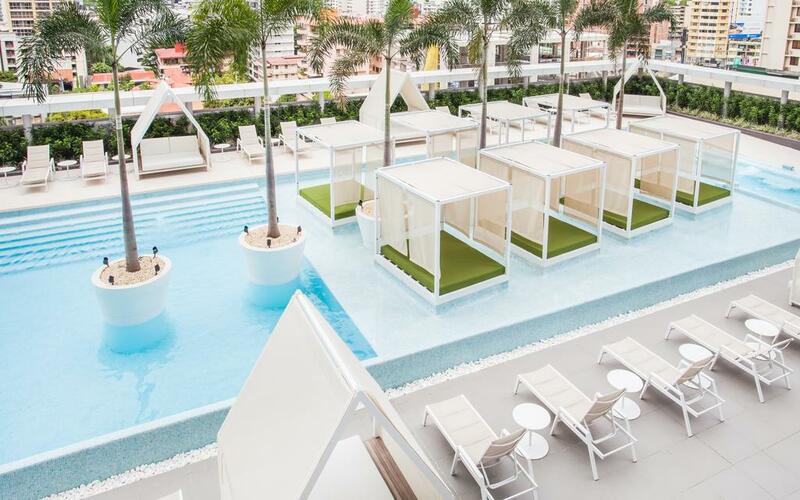 The W Hotel has just made its big debut in Panama City and is the first location of the brand to open in Central America. 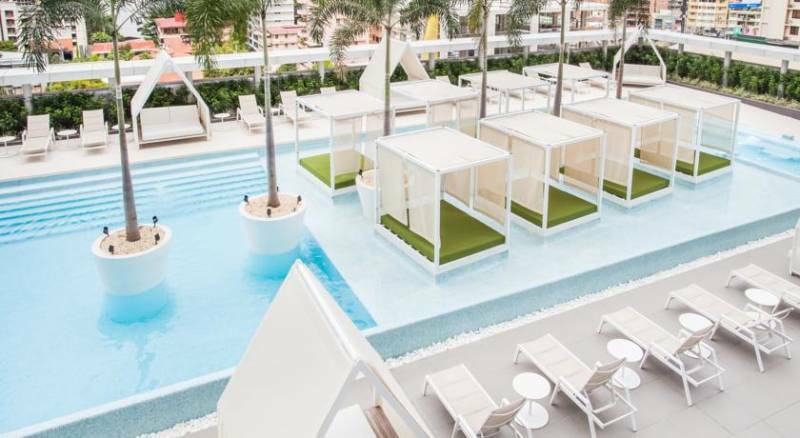 Guests and visitors at the W Panama can cool off at the 6,835-square-foot WET Deck (pool deck) with stunning views of the city center. 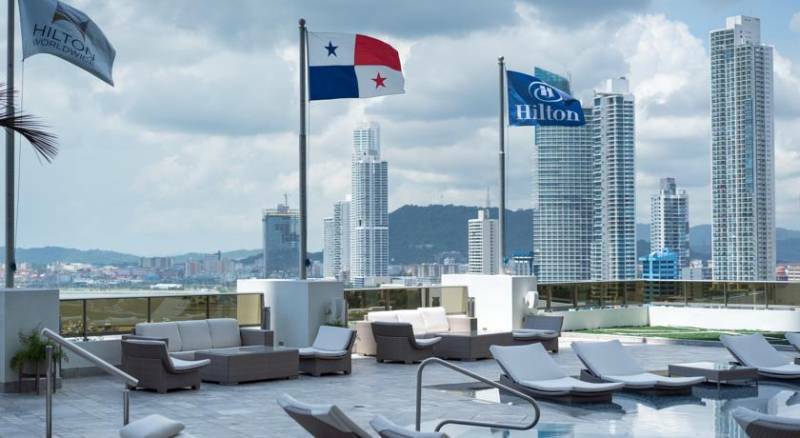 The Hilton has an incredible pool area and is the only hotel on this list that overlooks Panama City’s beautiful Cinta Costera. 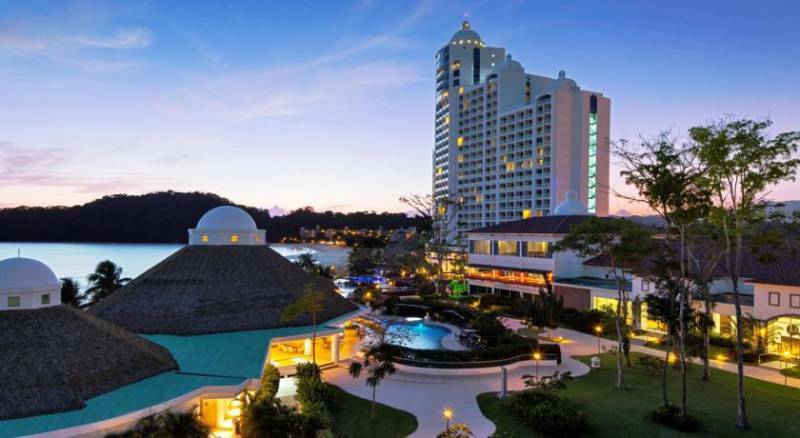 The hotel also features a casino and several great restaurants at the hotel as well as nearby. 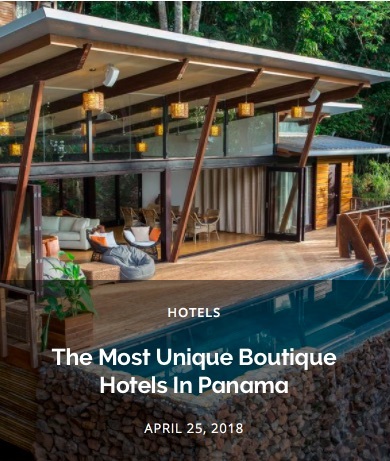 is my favorite neighborhood in Panama City and I highly recommend staying in this part of town if you can because you will be in the heart of the city’s culture, restaurant, and dining options. However, swimming pools are hard to come by in this historic sector of the city so it’s exciting when a hotel offers this amenity. 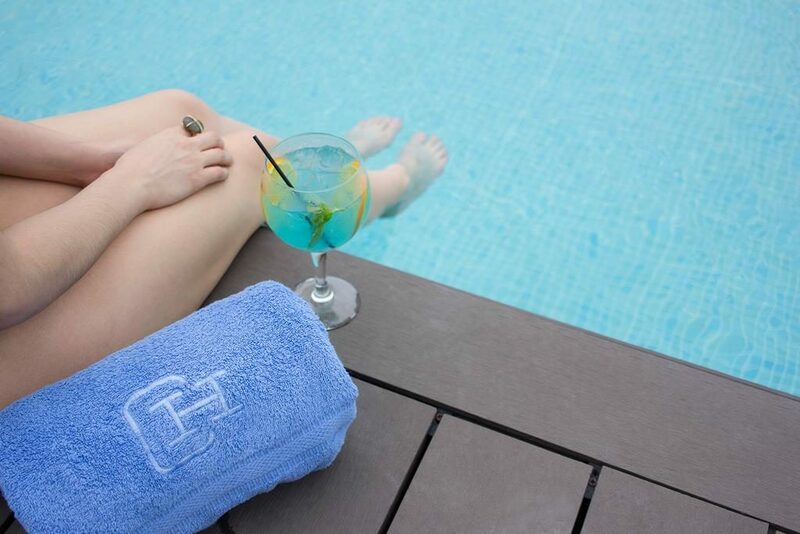 The American Trade Hotel is one of the few spots in Casco with a pool so you can spend the day meandering through the charming streets and then cool off at the pool before a fun night out. 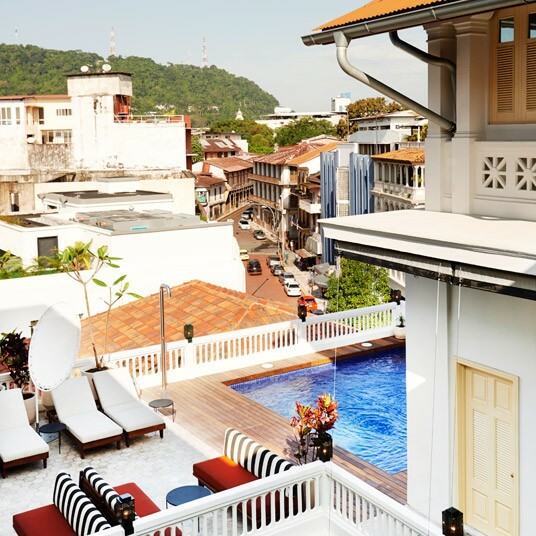 The recently restored Central Hotel is also located in and this is the oldest hotel in the city. 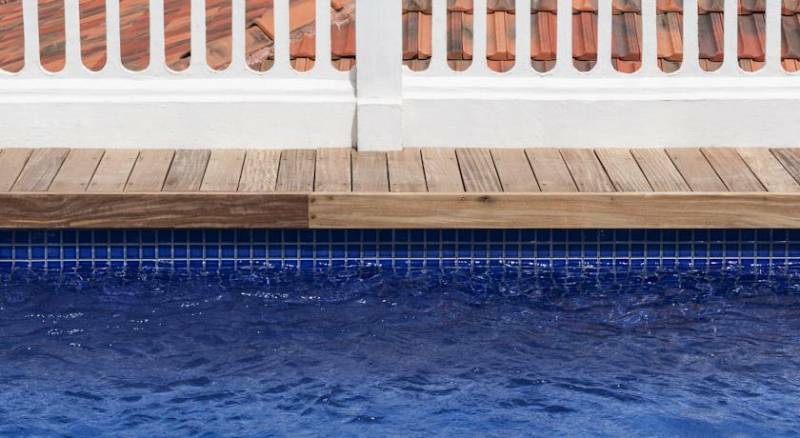 The gorgeous finishes and small pool make it another great option in the historic district. 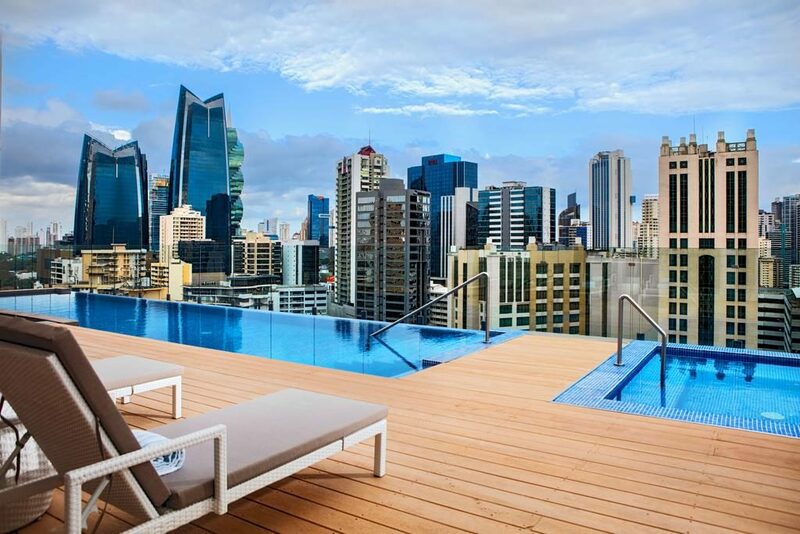 The gorgeous rooftop pool at AC Hotel by Marriott immerses you in the middle of skyscrapers for an iconic view of Panama City. 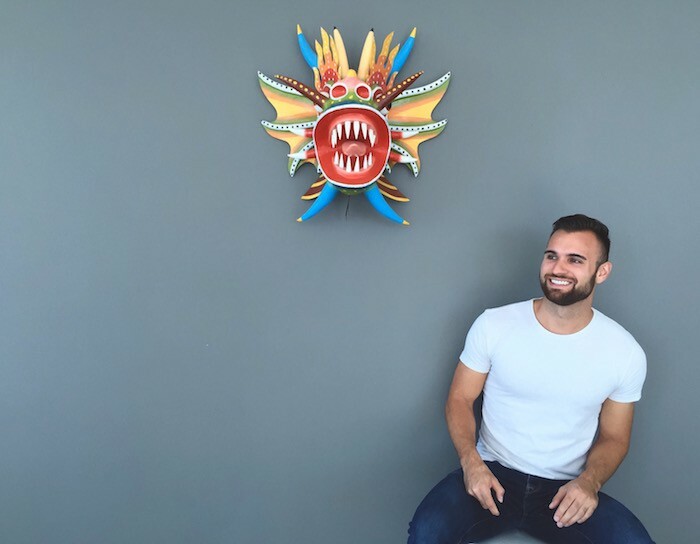 It’s also conveniently located in the city center so you have access to great restaurants and things to do. 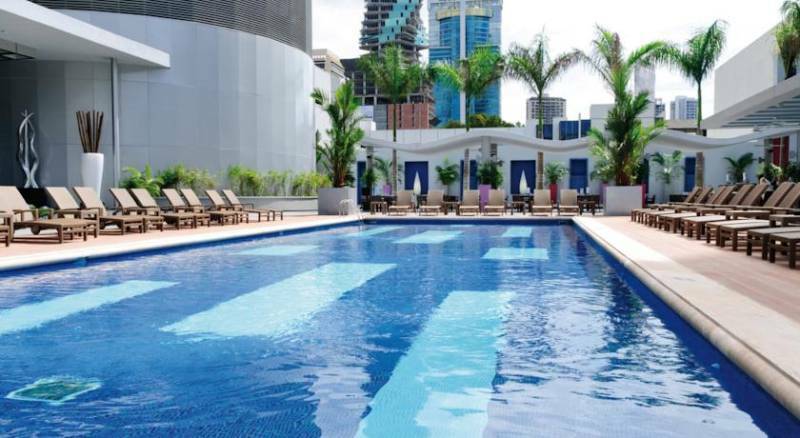 The Riu Plaza has one of the largest swimming pools in Panama City and makes a great spot to stay if being able to swim laps is high on your priority list. 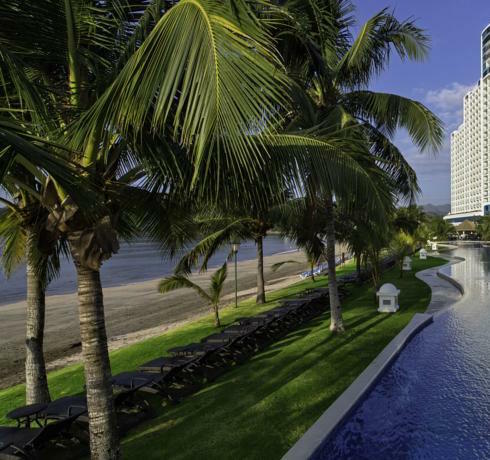 The iconic Waldorf Astoria has brought their brand to Panama City and features a nice swimming pool to relax at. I would say the only downside is the view which is of the building in front of it. 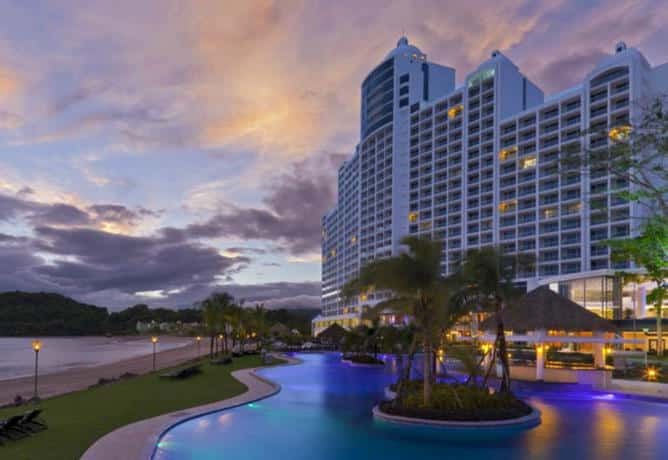 If you want to distance yourself from Panama City but still be close enough to all the action then the Westin Playa Bonita is a great choice. 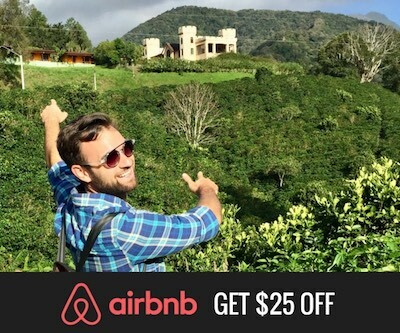 It’s about a 25 minute drive (without traffic, so expect double this time during traffic hours) from Panama City so if you’re staying here and want to make several trips to the city it will probably be best to rent a car. 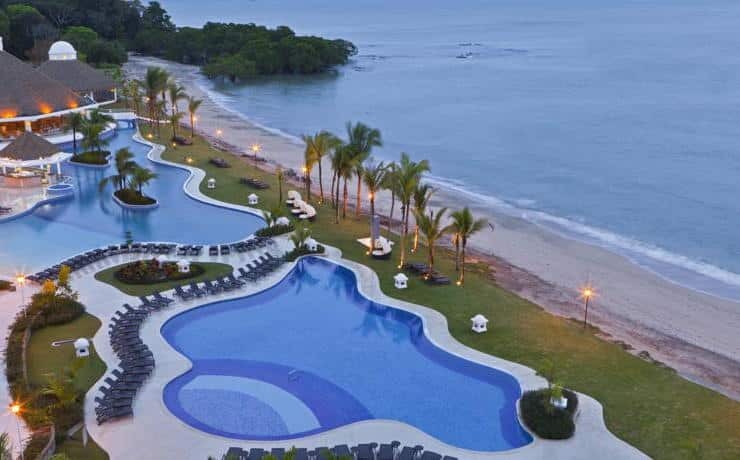 But anyway, this all-inclusive hotel is right on the beach and has several great swimming pools so it’s a good spot to disconnect and relax. The pool and pool area at the old Panama Hilton Hotel is very nice. Have you pool crashed SORTIS pool? I want to find the best Beauty Salons in PTY soI can take me company there.